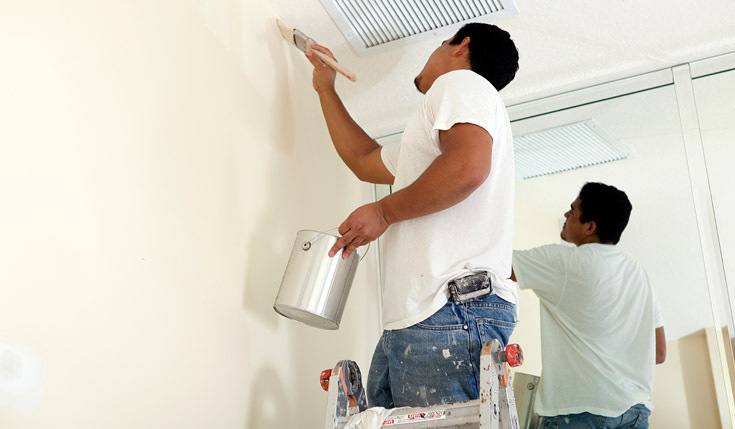 As a professional painter, your intentions are likely genuine. Your hope is that every client loves your work and says good things about you. Reality is much different. Some people are impossible to satisfy and sometimes things simply don’t work out for one reason or another. How do you tell your side of the story in a professional and dignified manner? Is it even possible to get a word into the conversation? If an unsatisfied customer leaves you a negative review, it’s important to respond quickly and politely. The rise of social media has given consumers a voice that wasn’t available even a few short years ago. Angie’s List, Yelp!, and Yp.com allow clients to easily post reviews of service providers that can have a real impact on a business. Many times the reviews are positive and offer ringing endorsements of the work performed by service professionals. But sometimes, the review is a scathing, negative, and vicious critique of the work done by a professional. What can you do when a negative review appears? What options are available to you? How should you respond to unhappy customers intent on sharing their bad experience with everyone online looking for information about your company? Unfortunately, it is near impossible to get negative or critical reviews of your work removed from the web. Even if a website like those listed above agrees to remove a negative review, the likelihood that it is truly erased from the archives of the internet is unlikely. Search engines index information on a continual basis and even a redaction by the site of original publication is still likely to be cached – or recorded – by search engines and databases. Service providers like professional painters are left with little recourse to defend themselves in the event of a negative review or comment. That said, you aren’t completely without retort. Here are five tips for addressing negative comments and reviews that show up about your paint business on the internet. Act Quickly. If someone has something critical to say about your work in any way, respond as quickly and as visibly as possible. From Facebook to Yelp and all forms of social media in between, those that see negative reviews of your business will give a cursory look to see if you have replied. Most potential clients are seeking as much information as possible when evaluating your company. Having your reply published near any criticism or compliment is a great way to redirect the conversation towards a positive tone, and it shows that you take people’s opinions of your work seriously enough to make it a top priority. Additionally, it proves that you waste no time in righting your wrongs, whatever they may be. Respond to Everything. Be diligent about participating in the online conversation about your company and your work. If someone says something nice or positive, thank them for their kind words. If someone says something negative, offer an apology and ask how you can make things right. Even if your reply goes unnoticed by the original party, future readers will realize that you care a great deal about how people perceive your business, both positively and negatively. Your level of engagement will also encourage potential posters to share their concerns more calmly than they otherwise might, because they already know they have your attention. Control Your Temper. It is tempting to lash out with emotion when someone has written something negative about your work or company. Don’t. Absolutely nothing can be gained by reacting in anger, but much can be lost. Handling negative reviews with professionalism and maturity will demonstrate to future readers that you are rational and care about your work. Furthermore, responding with harsh words and insults is unlikely to get your point across; more likely, you will look petty and only validate the negative words someone else wrote about you. And even if you think the client is in the wrong, it’s important that you don’t stoop to a blame game. Be Gracious. Acting with graciousness and humility goes a long way both with dissatisfied former clients and potential future clients. Keep your head held high and remain positive in your reply. State how much pride you take in your work and how pleased you are the client is happy or how disappointed your are that they are unsatisfied. Those reading your reply will pick up on your honesty and concern. And if you need to take a few extra minutes to settle down in the face of a negative review, it’s a good idea to do so. Crafting a calm response that is well-written and cordial will generate an far better result. No matter how hard you work, there will always be the occasional client who isn’t happy. How you handle them matters. As long as there have been service providers, there have been customers and clients that are left unhappy with the job is done. Assuming you are doing your best every time, it is a sad reality that some people will still find something to be critical about. No, you aren’t perfect and sometimes a client is justifiably disappointed or upset. Be proactive in addressing the problem and offering to fix it. Be polite. Be genuine. Learn from each experience so you can better serve future clients. And most importantly, don’t let unhappy clients have the last word in the online conversation about your work and your company. Click here to learn more about controlling the online reputation of your paint business!